BAPE continues its offerings for the Summer season with a new line of bags done in collaboration with famed accessories brand PORTER. 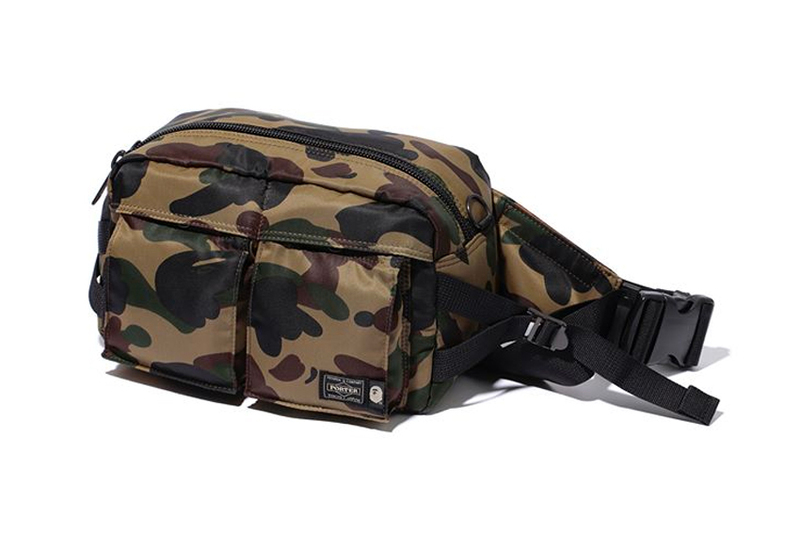 The collection includes a line of waist bags, one shoulder sling bags, and wallets all decked out in BAPE’s signature 1ST CAMO in both yellow and green colorways. The wallets feature a VELCRO® closure along with keyring to either keep your keys safe or to strap onto a chain. BAPE’s ubiquitous Ape head motif is then placed next to PORTER’s logo on the front of each bag for added flair. For those looking for some stylish accessories, the PORTER x BAPE Summer 2018 accessories are available now at BAPE retailers and online. For more on the celebrated streewear label, BAPE revived its Monogram Print with tees and caps.